What happens when you survey over 2,500 communicators about the state of Digital PR? A PR Revolution, that's what. Q. 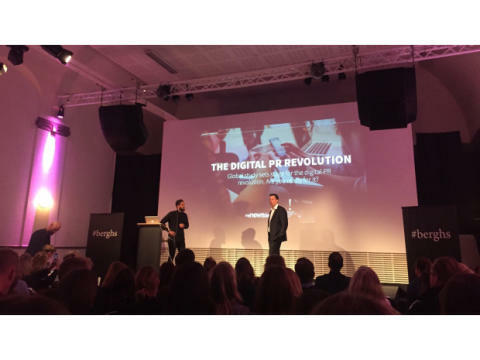 "Digital PR Revolution", what’s with the name? Chris: Having surveyed 2,500 communicators in eight markets, we saw that only 35% feel competent in their digital PR efforts. Also, close to 60% of communicators are either only starting to make digital PR a process within their organisation or they're still struggling to create a cohesive digital PR strategy. Such a finding is extremely surprising. Considering the current situation, we're advocating immediate change. All communicators, even small business owners, must embrace and start to master digital communications. Q. Tell us about the survey, how did you go about it? Daniel: For the last few years we have published a report called PR Challenges. 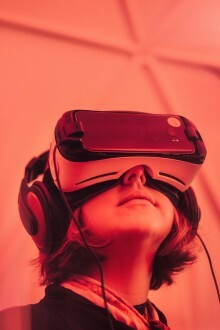 But unlike PR Challenges, which identified the challenges of the modern communicator, this year we wanted to offer both solutions and predictions about the future. We did lots of research during the summer, reading reports on PR to see what other organisations and businesses were covering. When doing research, you really have to question every single aspect of what you are doing. Questions such as: what do we want to achieve? Should it be descriptive, predictive or explanatory? How should we gather data? Once we had sorted this out, we developed a list of hypotheses and created a survey. When we had all the data, we started analysing the results, and eventually produced the report. I have to give credit to the respondents for spending their time answering. I also hope this study will help them with their communication efforts. Q. Did you identify any distinct trends? Daniel: Yes, definitely. We quickly discovered how similar the different markets were. The eight main markets more or less had the same challenges, the same technological issues and considered their efficiency within digital PR to be about the same. This was a bit surprising to me, taking cultural differences and how digitalized the markets are into consideration. It really seems digital PR is a global matter. We were also able to spot the connection between the respondents efficiency and their focus on strategy. The same trend was evident with how effectively the organisations use technology. In many ways, these answers should be considered as a relief for PR’s, because it’s something you can do something about, especially spending time making a strategy for digital PR. Q. What advice do you have for companies who don’t have a documented PR strategy, but want to get started? Chris: Simple, just allocate some time for it. The most important part of a digital PR strategy is knowing your audience and establishing your goals. Start by doing some research on your target group. Understand what their interests are. Understand how they consume content. The more you know about your target group, the better you will be at creating content which resonates. Then you need to know what you’d like to achieve and how that is aligned to the organization’s objectives. Without smart goals, it’s impossible to know whether or not you’re being effective in your digital PR. Then there are the steps of creating an editorial calendar, making a distribution plan, using measurement and data to keep track of and optimize your communications. You can learn more about these steps in our latest e-book. Q. Part 2 and 3 of this three-part series will be launched early 2017. What can we expect of the remaining parts? Chris: Part two is about technology tools, and part three is about the future. As I mentioned in our latest presentation at Berghs School of Communication, your digital PR strategy is basically useless if you don’t have the right technology tools in place to execute it. We don’t tell you which technology tools to invest in, though. We just try to guide you in the process regarding what you should consider and do regarding your investments in technology solutions. Part three is an e-book that addresses future trends and challenges. 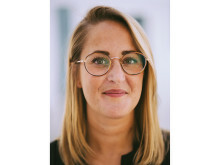 Of course, nobody knows how the future is going to play out exactly, but we can see with some level of certainty that organizations need more and better-qualified people on the team to succeed with their digital PR efforts. Automation tools are taking a lot of the burden off professionals, yet with improvements in solutions and other productivity tools, teams are simply just expected to do more. It’s a catch-22 situation. Then there is talk about artificial intelligence and how that will replace many professions. It potentially could, but I don’t think we will be there yet anytime soon. Time will tell. The first e-book, Global study sets stage for the digital PR revolution, is available for immediate download. Sign up and you will also receive part two and three automatically once released.